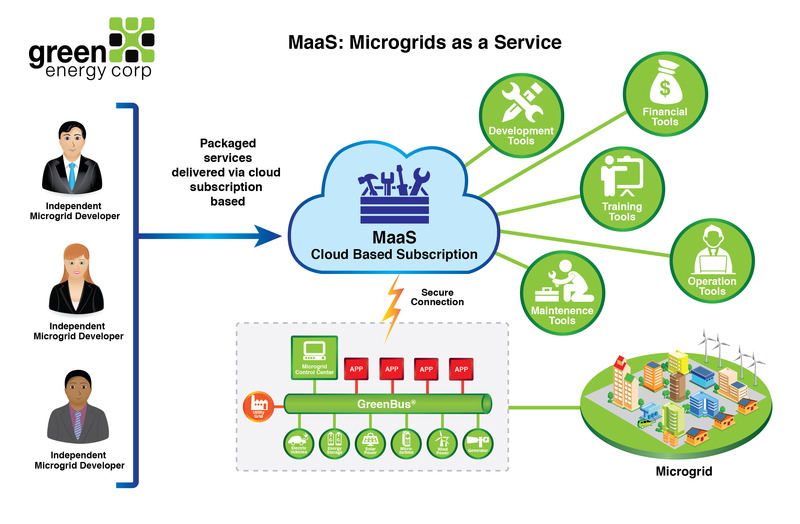 Green Energy Corp’s Microgrid as a Service (MaaS) package is a cloud based, subscription service enabling third party developers to utilize GreenBus® and Green Energy Corp’s expertise in financing, building and deploying microgrids. Included in the MaaS package is the microgrid “toolset” comprised of software, design and engineering packages, equipment recommendations, construction methods, operations and maintenance support, and financial instruments all delivered from a hosted environment. GEC offers a world-class “walk-through” solution for deploying microgrids, including complete development, contractual, and financing “toolsets”, along with installation, configuration, operation and maintenance support and training. This MaaS approach affords Green Energy Corp the opportunity to collaborate with pre-approved developers to do good and to attain recurring revenue streams from the worldwide deployment of GEC’s advanced microgrid solutions.